At Kingsley, we’re well aware that one size never fits all. Every library has unique needs so we’ve done our best to provide you with options in our various lines of carts. 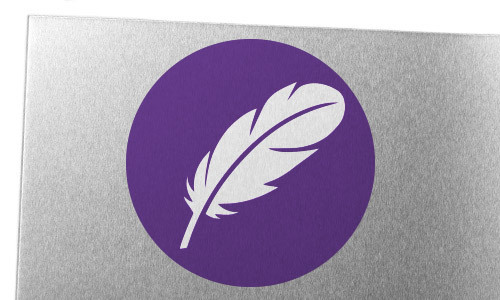 Each one has unique features that have been designed based on customer feedback and real-world experience. Take a look at our cart lines below and check out the standard cart features that you get with every Kingsley cart. 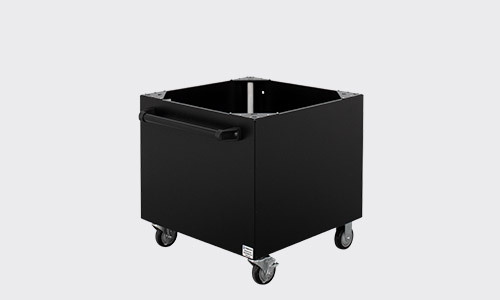 Our High Capacity carts come with 4” diameter wheels to allow you the most amount of room for collections while still being able to push it around comfortably. The larger the caster, the easier it is to move. Our 6” diameter EasyRoller casters are up to 50% easier to roll across long distances, up ramps, and through snow. Shorter carts to fit where you need them. 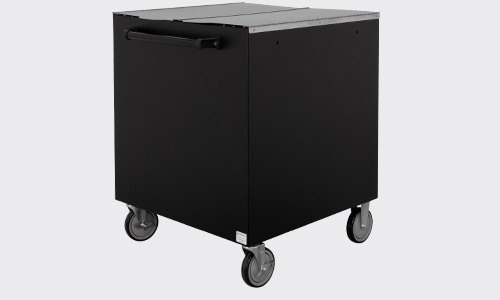 Undercounter carts are 25-1/4 and 31-1/2 inches high for placement under counters, circulation desks, low ThruWalls and more. Make emptying the book drop easy while reducing strain and injuries. Our ErgoPower electric self-propelled carts are effortlessly operated by one person regardless of terrain. Never lose another cart cover with our RainOff Carts. 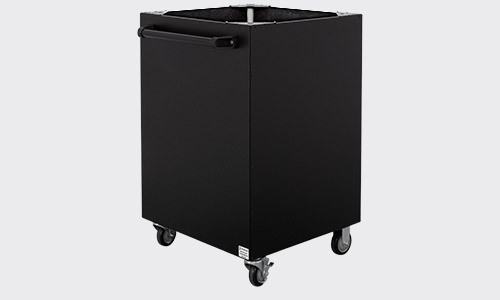 These carts have a metal lid that keeps collections dry when you bring them in from your outdoor book drop. 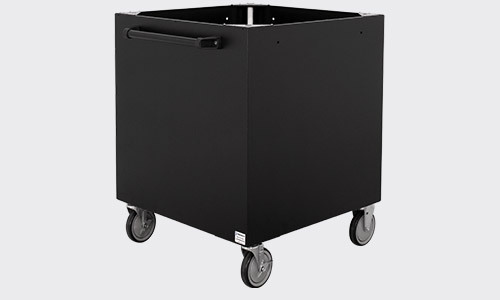 QuietDrop carts have an additional thick, industrial-grade felt lining that helps cushion materials and dampens the noise of books as they fall in. 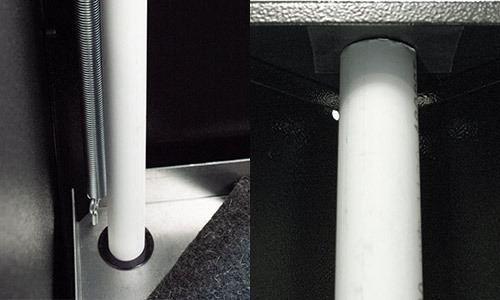 Every cart includes a self-leveling float tray that lowers as materials are added and raises as they are removed. 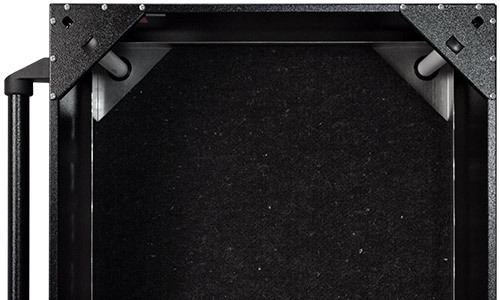 This keeps the tray at the optimal height for collecting returns to reduce damage done to your collections. 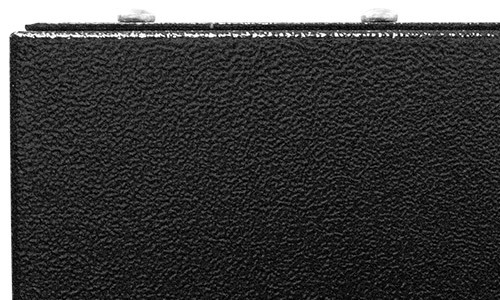 Each float tray has a thick felt pad at the bottom to cushion the fall of the first materials that are deposited. This felt pad is water resistant so you don’t need to worry about it retaining water and molding if you do ever happen to get liquids in your cart. By allowing collections to be deposited directly on top of the float tray, the cart has a greater max capacity than one with a collection bag that bunches up and takes up space that could otherwise be used for books or other media. 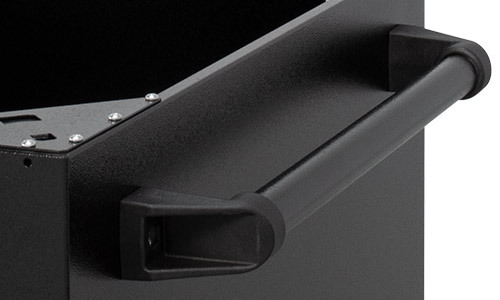 We’ve added thick guide rods to keep your float try from bending and warping from uneven distribution of materials. The tray stays perfectly in position from the time the first deposit is made to the time the last one is removed. You never have to worry about the tray bending enough to let materials slip through the sides. The guide rods have dampeners at either end to ensure a tight fit and help eliminate rattling so the overall noise of the cart is reduced. All four casters are plate mounted, non-marring, and are made of materials that resist abrasive surfaces such as asphalt and concrete. 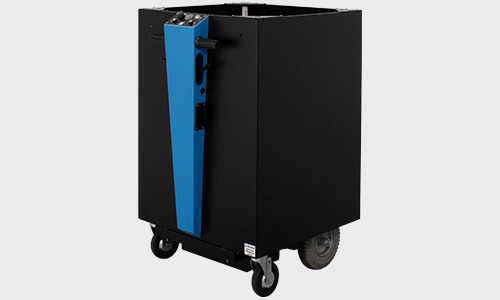 The two casters on the side with the handle are ball bearing swivel casters which make it easy to maneuver. 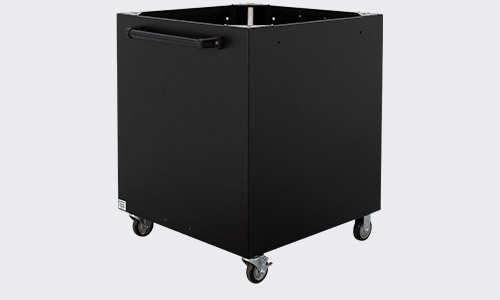 These casters can also be locked to keep the cart firmly in place. The other two casters are fixed in place. 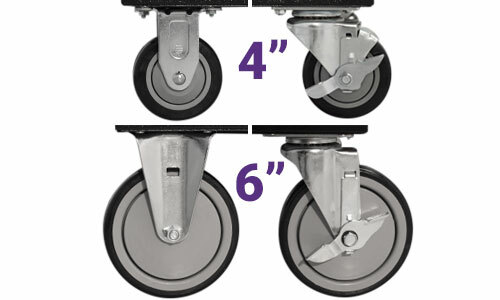 Our casters aren’t 3” like some, they start at 4” in diameter for High Capacity Carts and go up to 6” in diameter for EasyRoller Carts because we know that the larger the caster, the easier it is to push when there’s a full load.